Café franchisor Good Earth Coffeehouse is donating one dollar to local food banks for every package of gingerbread cookies sold during its Gingerbread Family campaign. This year’s goal is to sell more than 10,000 packages by Dec. 31. 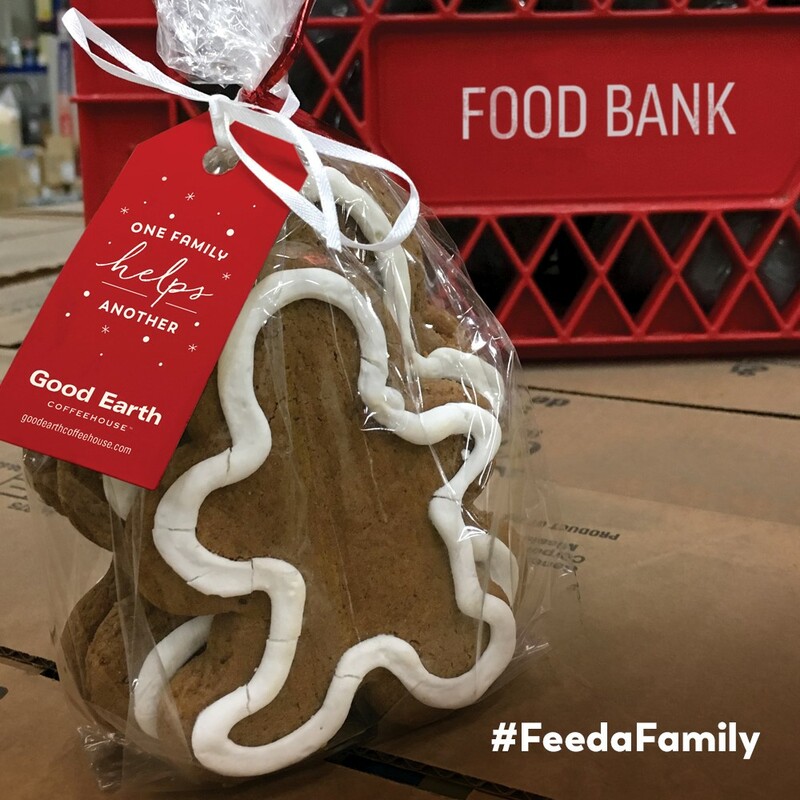 Customers can also share photos of their cookies on social media with the hashtag #FeedaFamily and Good Earth will donate one dollar for every photo, up to $2,500. “We strongly believe in families helping families and we are happy to continue our annual holiday tradition with this campaign,” says Nan Eskenazi, co-founder of Good Earth.